Today whatever joy the public might have had with the legalization of marijuana was tempered by a mass shooting at a community college. Today pot was legalized in Oregon for recreational use. Although stores can now advertise on billboards and bring a more open spirit of operation and promotion to their business, things are pretty much as they were. 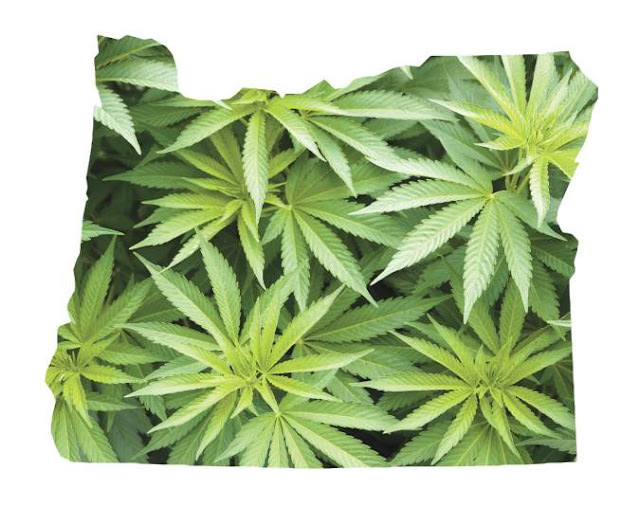 The Oregon Medical Marijuana Act passed in 1998 and from that point on anyone able to describe a symptom of stress or sleeplessness could get a medical marijuana card for a few hundred bucks and enjoy a constant supply of premium bud. Despite not being a patron of our local cannabis shop, I support the legalization as the pot business has become too significant an industry not to enjoy the light of legality and all that implies – normal business and financial regulation. Prohibition didn’t do much to curtail drinking and the story of marijuana runs a similar course. I suppose it’s all just too early to write the history books, but I am glad pot regulation has moved from being solely a law-enforcement problem to one of public policy. Certainly as a parent it’s easier to explain the ubiquity of pot. When walking with the kids in a park and the smell of weed wafts by, instead of saying that pot smoking was a minor crime that the police couldn’t bother enforcing, the conversation turns to responsible use. I instinctively believe legalization will demystify the drug, making it as common as a can of beer, and fewer kids will smoke it as a result. Let’s hope this is the case.